When people in and around Skillman are looking for advanced dental treatments, they know that they can trust the team at our practice. We offer advanced cosmetic dentistry treatments, including a number of versatile procedures that can help achieve a total smile makeover. Porcelain veneers have proven to be one of the most effective treatments for cosmetic problems of various kinds. Let's consider how porcelain veneers work and why some people refer to porcelain veneers as "instant orthodontics". Porcelain veneers are thin shells of dental ceramic that are used to mask cosmetic imperfections of the teeth. With a porcelain veneer in place, people will not be able to see the flawed tooth underneath, helping a person's smile look beautiful and greatly improved in the process. Sometimes a complete smile makeover can be achieved through the use of porcelain veneers alone. When a person has teeth that are a little crooked or poorly spaced, the use of porcelain veneers can make a major difference. Just by placing one or a few porcelain veneers, a person's smile can appear totally straight and even. In essence, the results of orthodontic treatment can be achieved in just one or two dental visits rather than several months. That's a relative instant, and why some people have nicknames porcelain veneers "instant orthodontics". With porcelain veneers in place, no one will realize that you have undergone any dental work. The veneers are made of a semi-transluscent material that allows light to pass through it just like your natural tooth structure. In daylight, nightlight, and even artificial light, no one will realize you have veneers in place. 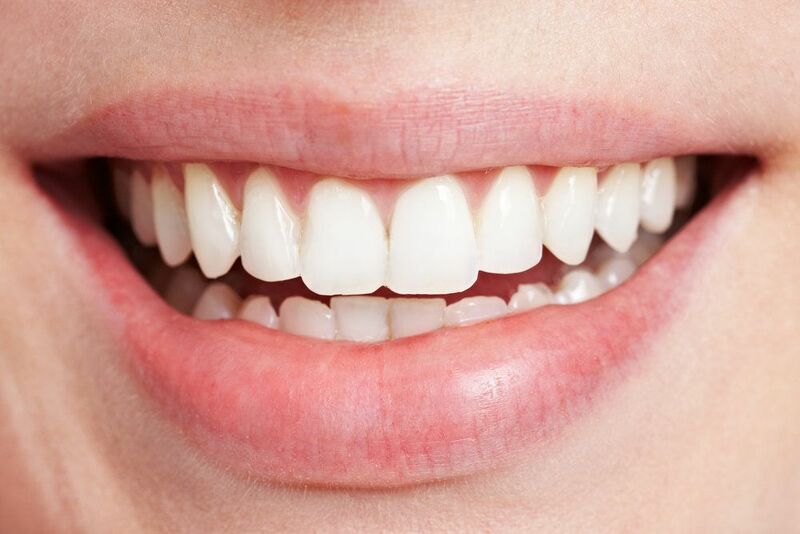 The veneers themselves are quite durable, allowing patients to bite, chew, and go about their daily lives without major worries of the veneers breaking or becoming damaged. Keep in mind that the instant orthodontics of porcelain veneers aren't necessarily a substitute for the traditional orthodontics achieved through braces and other appliances. If the crookedness or poor alignment of a person's teeth is causing serious issues with dental wellness, the best option for treatment is traditional orthodontic care. Since porcelain veneers are predominantly cosmetic in nature, their uses are limited to a certain degree. The best way to find out if porcelain veneers are right for you is to visit a dentist for a full consultation. During the visit, your situation will be assessed and the most ideal treatments can be considered for your particular needs. For more information about porcelain veneers and how they can help you smile with renewed confidence, be sure to contact our cosmetic and restorative dentistry center today. Our team will work with you to enhance the health and beauty of your smile.